2014 Chevrolet Silverado 1500 High Country: Denim and Diamonds Ball Ready! For years, GM pickup buyers that wanted a really fancy truck had to purchase a GMC Sierra Denali to get the finery of a luxury automobile in a rugged package with a cargo box. That’s changed that for 2014, as the blue-collar brand now offers the new Chevrolet Silverado 1500 High Country ready for the Denim and Diamonds Ball. Chevy has offered upscale LTZ trim packages on the Silverado in past years but this new High Country model is set to offer not only a truck with ALL the bells and whistles but one that will more directly compete against the likes of Ford’s King Ranch and Ram’s Laramie Longhorn editions. Chevrolet Silverado 1500 High Country adds a western flair to the cabin of the new Silverado 1500 as much as it adds the latest technology, unique chrome grille and 20-inch chrome wheels, among other things. 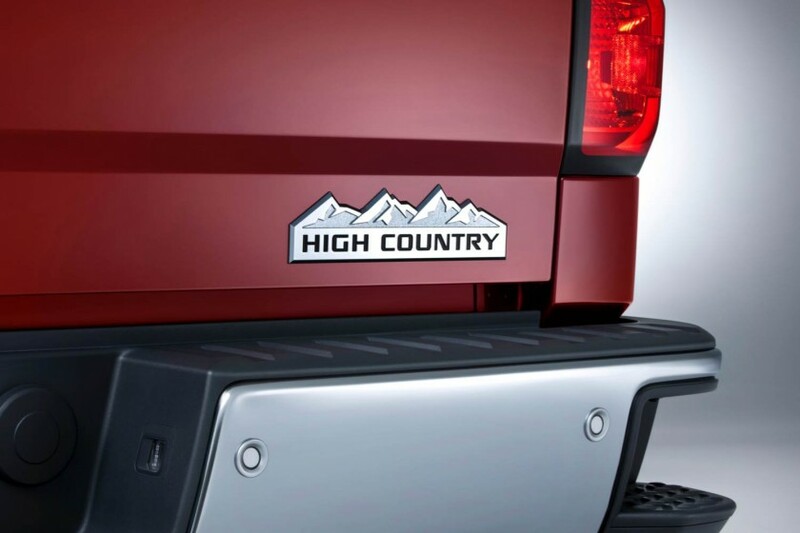 All High Country models arrive on Crew Cab platform and is available in two- or four-wheel drive with choice of 5’8” or 6’6” cargo box lengths. The Silverado 1500 pickup we tested last year featured Chevy’s new Ecotec3 5.3-liter V-8 gas engine. This High Country tester arrived with the all-new Ecotec3 6.2-liter V-8 that generates 420hp and 460 lb. ft. of torque while delivering fuel economy ratings of 14 mpg city and 20 mpg highway and features direct fuel injection along with Active Fuel Management (operates on four cylinders under light load conditions). All Silverado 1500 engines are mated to a six-speed automatic transmission featuring auto grade braking and the new trucks include GM’s new Duralife brake rotors for stronger, quieter braking and longer brake life. The new trucks also feature electric power steering, new, larger rear axles, standard locking rear differential (with 3.42 ratio), standard trailering package and trailer sway control. 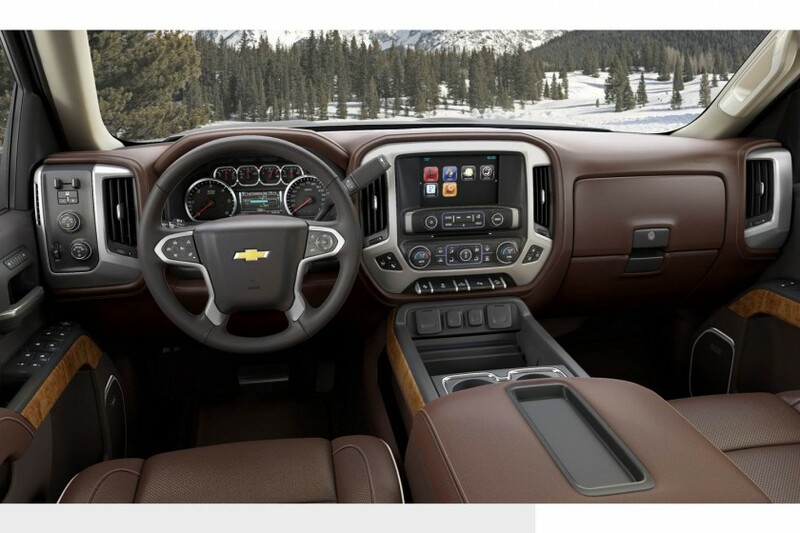 Inside the 2014 Chevrolet Silverado 1500 High Country is the gorgeous new saddle brown leather seating complete with heat and ventilation in the front bucket seats and High Country logos are embroidered into all the headrests. 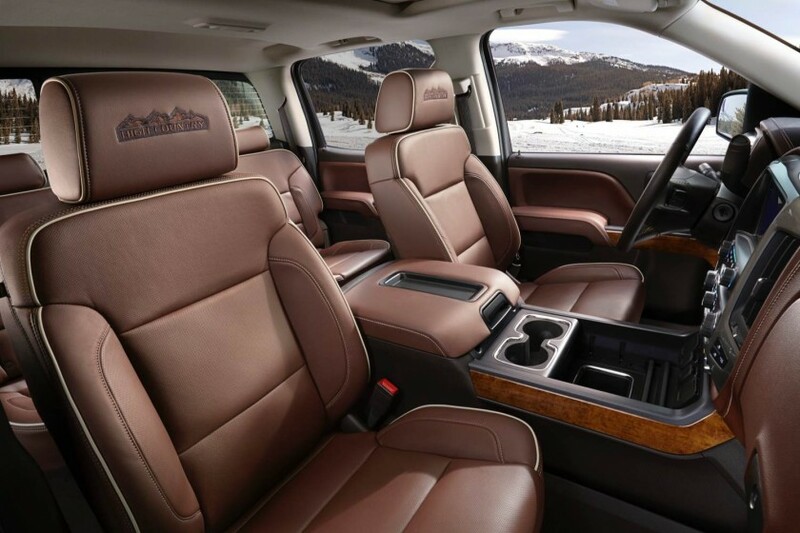 The High Country Premium Package adds heated steering wheel, driver alert package (with my favorite new technology, safety alert seat), power adjustable pedals and integrated trailer brake controller. Our tester also arrived in 4×4 form and featured chrome assist steps and LED cargo box lighting. Up front we enjoyed the large 8-inch color information display complete with navigation, SiriusXM travel and weather technology, USB ports, 110-volt AC power outlet and rocking Bose audio system. 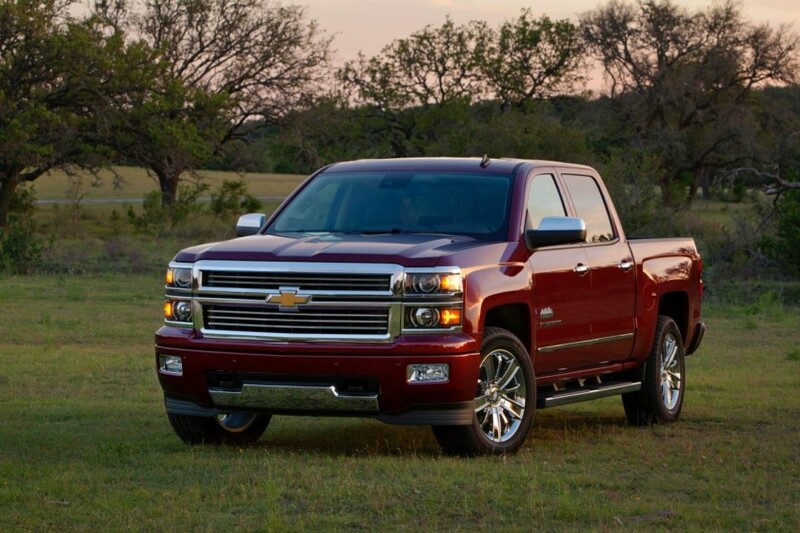 The new Silverado 1500 is a very smooth and capable truck that offers very good onroad comfort and stability. It is surprisingly quiet and the new Ecotec3 6.2L V-8 offers plenty of power on demand when prompted. Those of you who always wished they could pay more for a Chevrolet pickup, your wishes have been answered. 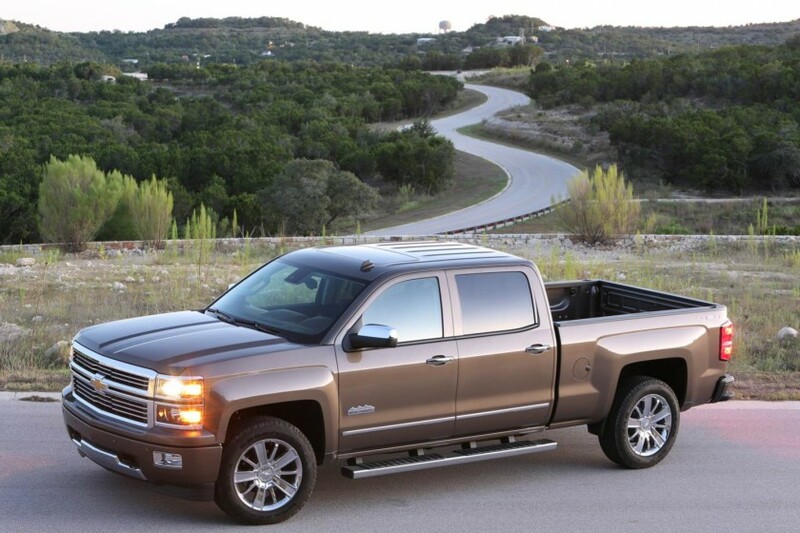 While 2014 Chevrolet Silverado 1500 High Country pricing begins at $45,100 for 2WD models, this tester arrived at $56,965. No word if High Country will make it to the Heavy Duty lineup of Silverado trucks, but should it prove popular on the light duty models it would only make sense to offer it across the entire Chevy lineup.